Canopy/Neckrests are available on the Accessories page. The New Stowaway II 24" Model, as well as 24" and 26" Frame Extension Kits are now available! 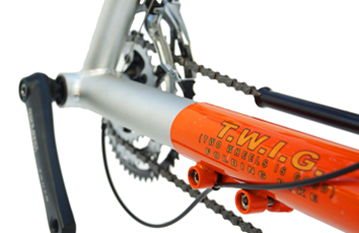 We are clearing out our 27 Speed Trekker 20 and E Fat Trekker to make way for the New Models. Please see product pages for details and special pricing. We are always happy to have riders come here to test and purchase a Trike. Please call ahead though so we can plan some time to spend with you. Trident Trikes is committed to innovation, customer service, and the most value in the Recumbent Trike market today! As riders ourselves we are attuned to the needs of Recumbent Trike riders worldwide. No other major manufacturer offers as many different models and configurations as we do, and we have Trikes to meet every rider’s needs and budget. We offer Factory Direct Pricing with US and EU Support . 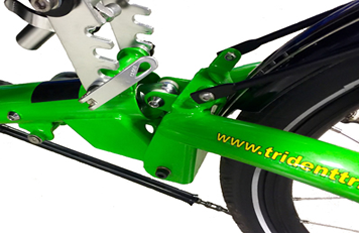 Trident Trikes are covered by our 5 Year Limited Warranty, and require much less customer assembly than other Trikes commonly available. 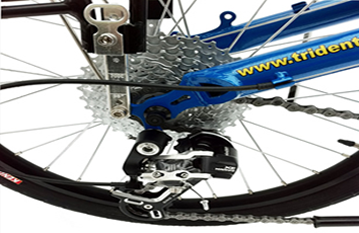 Trident Trikes is also the North American Distributor for the Jouta Blue Line of Trikes from the Netherlands and the Efneo GTRO Gearhub.